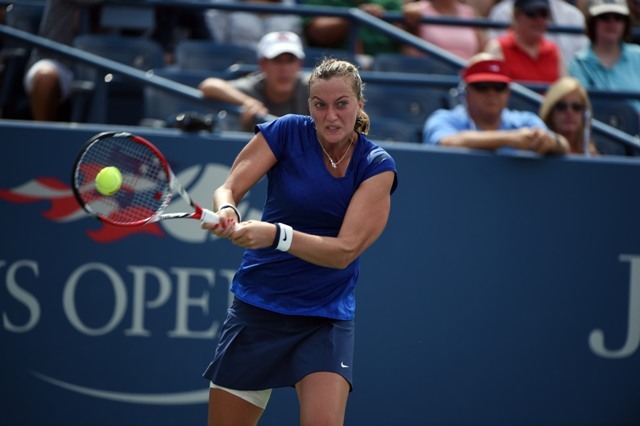 Reigning Wimbledon champion Petra Kvitova has confirmed that she will lead the Czech Republic team in the forthcoming Fed Cup final against Germany. The world No. 4 has won three titles on the tour this season, including her second Grand Slam title at the Wimbledon Championships in July. She holds a 40-14 record on the tour this season and is coming off two consecutive final appearances post-US Open. Lucie Safarova is expected to be a part of the team, along with doubles pairing Andrea Hlavackova and Lucie Hradecka. WTA Rising Star Karolina Pliskova was also named as a part of the squad following her third WTA title win against Camila Giorgi in Linz last week. Only four players can be a part of the team so one of these players will remain on the reserves. Following consecutive title wins in 2011-12, the Czech Republic were absent from last year’s final but are not back in center stage for the 2014 final. Germany, on the other hand, are through to their first team final since 1992, where their current captain Barbara Rittner was part of the team to help lift the title. The Czech team is the odds-on favourites to win the title, as they lead Germany 6-1 in the head-to-head series. This includes their last two consecutive meetings in 2010 and 2012. The Fed Cup final is scheduled to take place between Nov. 8-9 at the O2 Arena in Prague, Czech Republic.